Born: 12 October 1878, Nantwich, Chester, England. Died: 29 June 1954, Johannesburg, South Africa. Joseph Henry Dobson, engineer and industrialist, was the eldest son of John Dobson, railway engineer, and his wife Sarah Jackson. After completing his schooling he served a seven year apprenticeship in the workshops of the London and North-Western Railway Company at Crewe. Three scholarships enabled him to continue his education at Victoria University, Manchester, where he graduated as Master of Science (MSc), and at Liverpool University, where he graduated as Master of Engineering (M Eng). In 1904 he came to Johannesburg to take up a post as assistant professor to teach mathematics and electrotechnics at the newly established Transvaal Technical Institute (later the Transvaal University College, forerunner of the University of the Witwatersrand). He served as dean of the student residence from 1905 to 1909, and also practised as a consulting engineer. An early paper by him, 'The measurement of three-phase electrical power and energy', was read before the South African Association of Engineers in September 1906. Dobson resigned his post in 1909 to take up an appointment as town electrical engineer of Johannesburg, and from 1910 to 1919 as general manager of the municipality's Gas, Electricity and Tramways Department. During World War I (1914-1918) he commanded the South African Pioneer Battalion in German East Africa. Among other contributions to the war effort he converted motor lorries to run on rails. For his consistent good work he was awarded the Distinguished Service Order (DSO) and promoted to lieutenant-colonel in the Defence Force Reserve of Officers. In 1920 Dobson acquired an interest in the engineering business of R.M. Dowson. The company became the well-known engineering firm Dowson & Dobson, Ltd., with Dobson as managing director. Among others he played a leading role in the development of the rubber industry in Natal and the industrial production of oxygen at Germiston, becoming chairman of both the South African Rubber Manufacturing Company and of the African Oxygen and Acetyline Company. As a result of these and other contributions he is regarded as a pioneer of South Africa's industrial development. During this busy period he found time to qualify as Doctor of Engineering at Liverpool University in 1926. In the course of his career he presented some twenty papers before various engineering societies. In 1928 Dobson became one of the first directors of the South African Iron and Steel Corporation (Iscor). In 1933, at the request of the government, he agreed to withdraw from his own business for a period of three years to take up the position of general works manager of Iscor, which was just coming into production. Dobson was a member of the (British) Institutions of Electrical Engineers, Civil Engineers, Mechanical Engineers, and Chemical Engineers, serving as vice-president of the latter during 1941-1943. He became a member of the South African Institute of Electrical Engineers in 1910, serving as president for 1918/9, joined the Transvaal Institute of Mechanical Engineers in 1905 and was elected a member of its council in 1909. He served as president also of the South African Association of Engineers (1909-1911), the Association of Municipal Electrical Engineers of South Africa (1915), the Chemical, Metallurgical and Mining Society of South Africa (1940/1), and the Associated Scientific and Technical Societies of South Africa (1944/5), and was a member of the council of the South African Association for the Advancement of Science (1918/9). He was awarded the gold medal of the South African Institute of Electrical Engineers in 1915 for his paper 'The distribution plant of the Johannesburg municipal electric supply system' (Transactions, 1915, Vol. 6, pp. 279-325). A paper on the Johannesburg municipal power station also earned him the gold medal of the South African Institution of Engineers for 1915/6, and he received this medal again in 1927/8 for 'A review of the engineering aspect of improving the temperature and humidity conditions of mine atmosphere at great depths'. This work later led to the publication of a comprehensive paper by him and W.J. Walker on 'Engineering problems associated with the improvement of temperature and humidity conditions of the atmosphere in mines at great depth' in the Proceedings of the Institution of Mechanical Engineers (1938, Vol. 139(1), pp. 185-235). In 1938 he was awarded both the Moulton Gold Medal of the (British) Institutiom of Chemical Engineers and the J. Bernard Hall Prize of the (British) Institution of Mechanical Engineers. He was elected a Fellow of the Royal Society of South Africa in 1929 and was awarded an honorary Doctor of Science (DSc) degree in engineering by the University of the Witwatersrand in 1947. 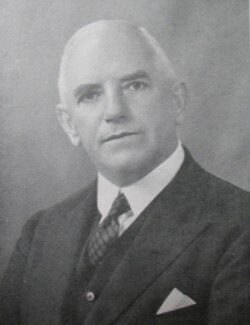 During World War II (1939-1945) Dobson acted as honorary chairman of the National Anti-Waste Organisation and, at the end of the war, devoted much time to the rehabilitation of ex-servicemen. Outside science and engineering he was also honorary life vice-chairman of the National Veld Trust from the late nineteen-forties, an early advocate for the introduction of decimal coinage in South Africa, and a supporter of the reform of the world calendar. He was married to Kathleen Florence, born Cherrington, who died in 1948 and with whom he had two daughters. Dictionary of South African biography. Vol. 3, 1977. Draper, J.R. The engineer's contribution. A history of the South African Institution of Mechanical Engineers, 1892-1967. Johannesburg: SA Institution of Mechanical Engineers, 1967. Google scholar. http://scholar.google.co.za Publications by J.H. Dobson. Journal of the Transvaal Institute of Mechanical Engineers, 1905/6, Vol. 4 and 1909/10, Vol. 8. Murray, B.K. Wits: The early years. A history of the University of the Witwatersrand, Johannesburg, and its precursors, 1896-1939. Johannesburg: Witwatersrand University Press, 1982. National Archives, Pretoria. Source MHG. Reference No. 3801/54, death notice. National Automated Archival Information Retrieval System (NAAIRS). http://www.national.archives.gov.za/naairs.htm Documents relating to Joseph Henry Dobson / J.H. Dobson. Obituary: Joseph Henry Dobson, DSO, 1878-1954. Proceedings of the Institution of Chemical Engineers, 1954, Vol. 3(6), p. 759. Retrieved from http://www.icevirtuallibrary.com/doi/abs/10.1680/iicep.1954.11241 on 2016-8-22. Obituary: Dr J.H. Dobson. Transactions of the South African Institute of Electrical Engineers, 1954, Vol. 45(6), p. xv. Obituary: The late Dr J.H. Dobson. Journal of the South African Instituion of Mechanical Engineers, 1954, Vol. 4(1), p. 37. South African Institute of Electrical Engineers. Index of SAIEE Transactions, 1909-1980. Electronic file, SAIEE. South African who's who, 1908, 1917/8, 1919/20, 1923/4, 1931/2, 1936, 1939, 1944, 1946, 1950, 1953.